Price reduced. Modern updated and spacious Terrace Villas Complex condo. Home features formal entry, open living space with fireplace, private balcony overlooking redwood trees and green space. Freshly updated kitchen with Granite Counter Tops and Backsplash. Separate dining area with pass through to the updated kitchen. Well-appointed master suite has a sliding glass door to private patio, two large closets with organizers, separate sink area and a luxurious walk-in shower. Upgrades include new laminate flooring and baseboards, interior painting. Interior laundry and central AC. Sought after community with tree-lined streets, premier interior location, with community pool, spa, and clubhouse. HOA includes water & garbage. 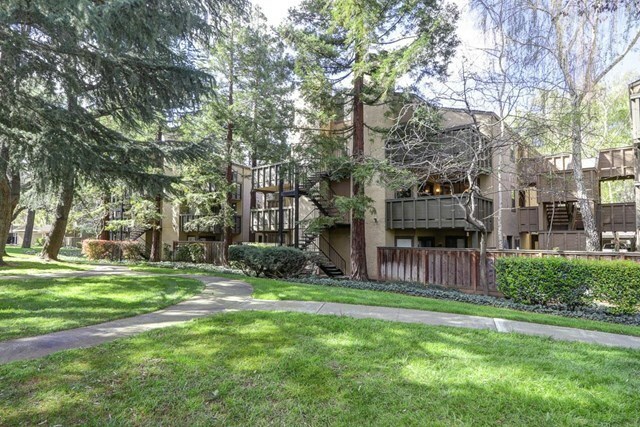 Convenient commute location near VTA, CalTrain, 85, 101 & 87 freeways and within walking distance to "Village Oaks Shopping Center", restaurants, and parks.